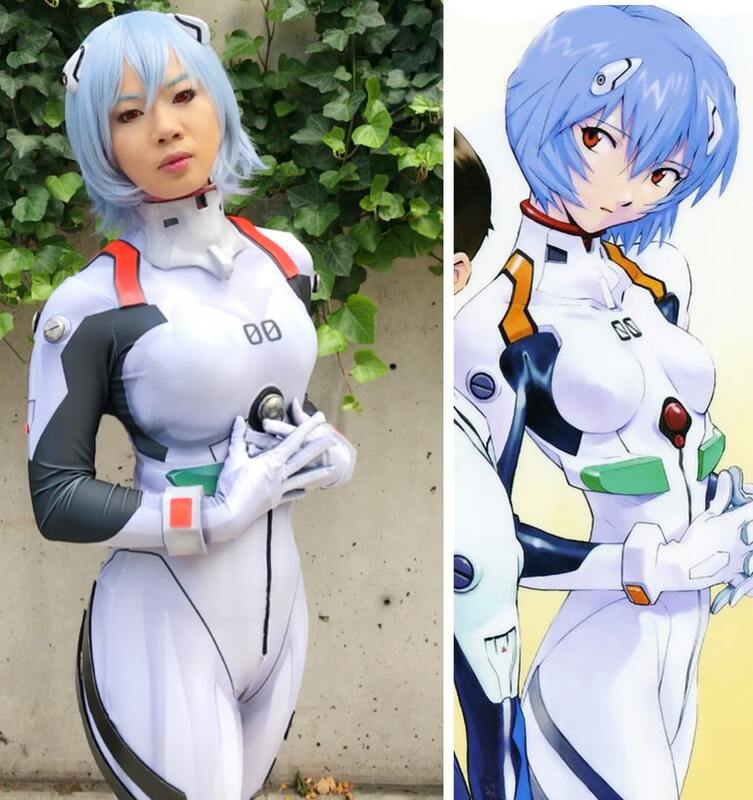 Neon Genesis Evangelion: Rei Ayanami cosplay by Ivi – AiPT! Repost from @riztheasian ~ thanks so much for the group photo with our perfect angsty Shinji!! Crossover mecha! Nine years later… still up to shenanigans with @extreme_costumes (and @razorsedgecosplay)- great to finally catch up!! NYCC Day 3- Full 360 of Rei showing all the detail work on the costume thanks to @madisonxalexandra Last day of NYCC tomorrow in plainclothes! . . . . . . Base sublimated print design by @brandonogilberto and printed by @aestheticcosplayus – Lance of Longinus/ 3d accessories/ wig/ painted details/shoes by myself.